I reinvent this image of a Southern Illinois cornfield repeatedly with alternating stories. 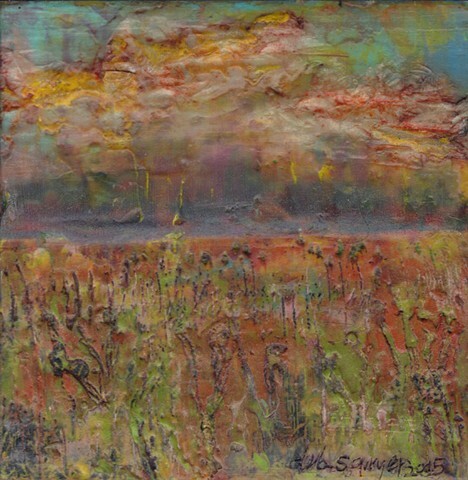 This version incorporates layers of tissue paper to create the texture in the sky. This painting is available at the Southern Illinois Artisans shop in Whittington, Ilinois.